Our method is simple – we showcase destinations around the world through hand-picked articles written by journalists who have actually traveled there themselves. We then tell you the best ways to get there from South Africa and other relevant and interesting facts that may influence your travel planning. Then, to make sure you have a good sense of what your travels are going to set you back we match packages with each of our features so that you have an idea of package costings. And we like to ensure there is something for everyone, from local budget getaways, to international 5* destinations – we literally expose you to the world. We aim to inspire, inform and ignite your passion for travel! 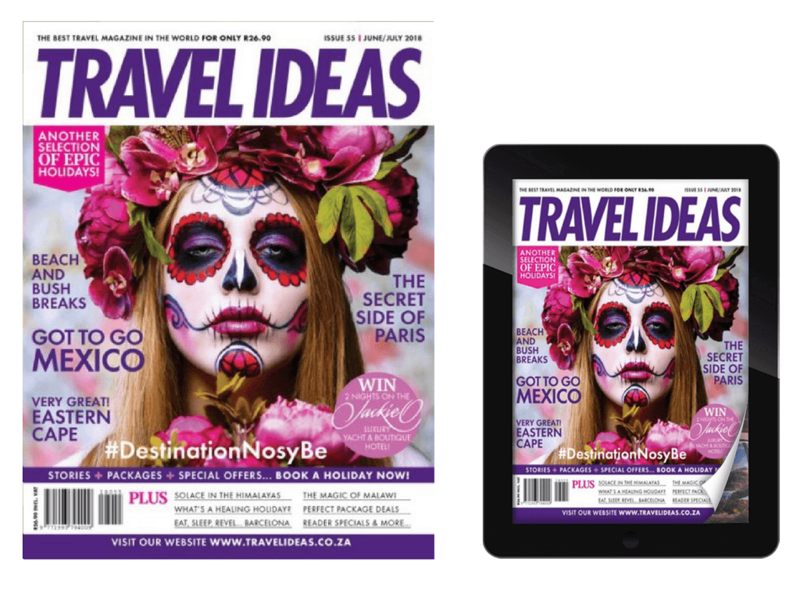 You can purchase your copy of Travel Ideas at over 500 Pick ‘n Pay and Woolworths stores country-wide as well as selected CNA, Exclusive Books and Spar Retail outlets for ONLY R26-90 including VAT. Still one of the cheapest ways to escape on holiday! If you’d like to receive your own copy of Travel Ideas posted to you, we’d love for you to subscribe – at only R180-00 for 6 print issues or R150 for 6 digital issues over a 12 month period, we’re a great value for money option and a GREAT GIFT IDEA too!